How to Enable Location of Camera Snaps Taken with Android 4.4.4 KitKat Device? The snaps, taken with phone camera discloses many things, including the date and location. This is specifically important when you have to upload the photographs on the social media, such as Facebook. It may cause embarrassment in some cases when you are willing to hide your location or location where this snap was taken. In Android 4.4.4 KitKat OS, you may enable / disable the location of the camera and camera may or may not show your location in the picture (picture name may contain the date and location) or alternatively enable the location, depending upon your desire and choice. In some of the cases, the location is disabled. To enable the location on your Android 4.4.4 KitKat phone camera, just follow the instructions. Command Line: Camera App > Camera Settings > Settings > Location. 1: Follow the Command Line to open up the Camera app. 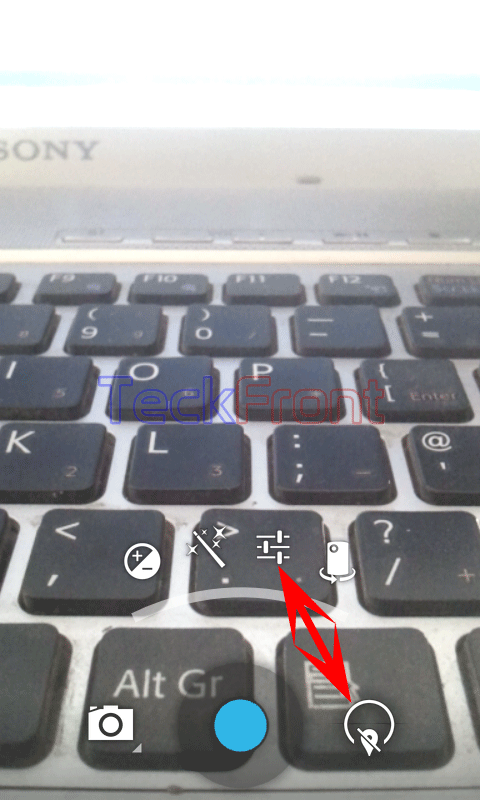 2: Tap the ‘Camera Settings’ button, available on the bottom right corner of the ‘Camera’ app’. It will open up semi – circle floating menu. 3: In the semi – circle floating menu, tap the ‘Settings’. It will further move the semi – circle floating menu upward. 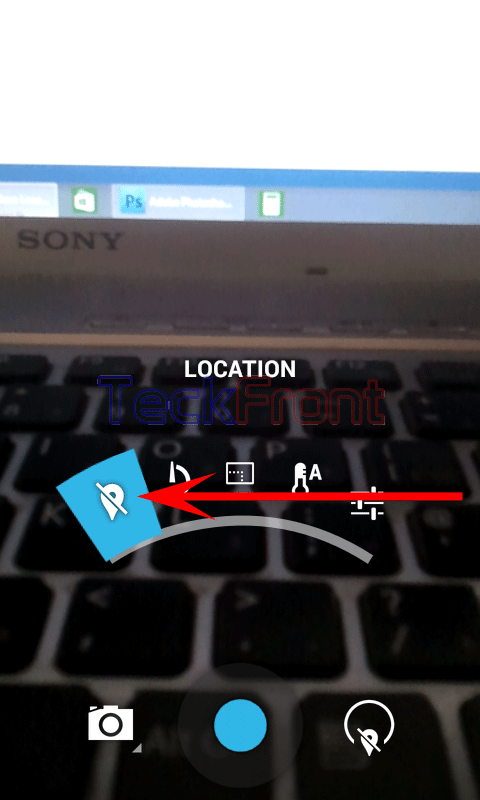 4: See the ‘Location’ button at the extreme left of the semi – circle floating menu. It is crossed, i.e. disabled. 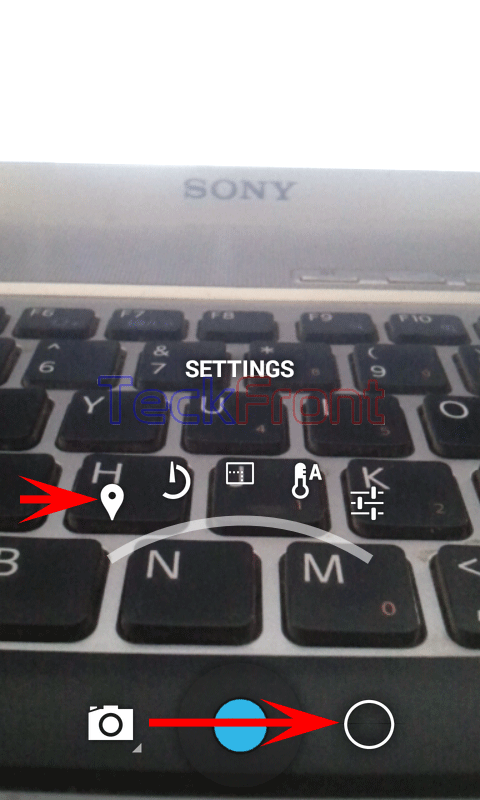 5: Do not lift your finger from the ‘Camera’ app and move it to the semi – circle floating menu which has moved upward – and move your finger to the ‘Location’ button, at the extreme right of the semi – circle floating menu. It will change the status and shape of the ‘Location’ button. Now, see it is not crossed, i.e. enabled. 6: See also the shape of ‘Camera Settings’ button has also change. It is now a complete circle, indicating that the location is ‘ON’. Now, when you take the snaps with your phone camera, the name of the photograph will show your location, i.e. where the snap was taken. Newer How to Set Power Shutter for Taking Snaps in Android 4.4.4 KitKat Device? Older How to Restrict Background Data in Android 4.4.4 KitKat Device?